Having damaged thinning hair or Hair loss? Your hair goes through different life stages. The constant colouring, blow drying, perming and straightening eventually takes a toll on our locks. One day your hair is healthy and shiny and the next it is dry and screaming for help. A bad hair day is not just a phrase, it is a living proof that your hair is looking for you to save it. Sometimes, conditioning and hair masks are not enough to keep your hair healthy. To repair the damage and give shiny healthier locks, hairbotx could help turn back the clock. What is Plastica de Argila hairbotx? That treatment repairs the damaged or broken hair fibers with a powerful concentrate of active ingredients including caviar oil, B5, E vitamins and collagen complex, which guarantee to moisturize, nourish, repair and revive hair right from the very first use, adding incredible shine and softness and eliminating frizz. The major benefit of the HairBotx treatment is that it has the capability to repair split ends. It actively nourishes, fills the deep layers of the skin, strengthens and renews the hair along its entire length, gives it softness and shine and promotes its growth. A valuable trace element that is important for hair density as it strengthens hair follicles. Provides thermal protection for hair, keeps hair hydrated, preserves hair health. It works against rinsing and fading of the color and highlights the shape of the hair. Rich in nutrients, removes dirt from the scalp, improves the microcirculation of the blood of the scalp and creates its natural protective microfilm. Stimulates hair growth. Strengthens hair bulbs and prevents hair loss. The procedure is recommended for loose, damaged, brittle, dull, lifeless and dyed hair. Discover the power of hyaluronic acid for the full restoration of fragile and brittle hair! Šampon Plástica de Argila pro křehké a lámavé vlasy, spolehlivě zbaví nečistot a navíc posílí jejich strukturu. Výsledkem je pevnost lehkost a zářivý lesk. Obsahuje také složky proti stárnutí a vyživovací oleje. Vlasy díky němu získají objem, nelámou se a přímo září. Zpevňující jílová maska je vhodná pro slabé vlasy mastícími se u kořínků se suchými konečky. Vynikající vlastnost bílého jílu vlasy posílí a změní jejich složení tak, aby se vyživovaly rovnoměrně, to znamená, že se budou se méně mastit a více hydratovat. Získají tak odolnost, lehkost a krásný vzhled. Použití: po umytí vlasů šamponem Cadiveu Plastica de Argila aplikujte masku na čisté a vlhké vlasy , promasírujte. Nechte působit 5 minut, po té důkladně opláchněte. Hlavní složkou této regenerační kůry je keratin, který mění strukturu vlasového vlákna a podporuje přirozenou obnovu poškozených vlasů a PH pokožky. Tato kombinace přináší nejen viditelné zlepšování kvality vlasů, ale především trvalý efekt. Použití: Aplikujte na suché a vlhké vlasy před vysoušením. For whom is Plastica de Argila HairBotx treatment suitable? The treatment is suitable for all hair types. Especially for hair which is softer, without gloss, dehydrated and matte. Hair botox hair balances and revitalizes them throughout their length. It also solves problems with the scalp - if you have problems with dandruff or oily skin. How long does the effect on your hair last and how often do you need to repeat the treatment? The effect of HairBotox lasts for two to three months. During this time, the hair is beautifully straight, thicker, more durable and falls out less. The scalp is maximally revitalized. Hair is silky soft and strengthened. To maximize the effect for a longer period, we recommend that you visit the treatment 3-5 times with an interval of 15 days. To achieve the best results and intensify the effect and extend the efficacy of HairBotox, use the Plastica de Argila home care (product pack contains Shampoo Revitalizante 250 revitalizing shampoo, Mascara de Argila hair mask and Fluido Finalizador final care 115ml). How Plastica de Argila HairBotx treatment is done at BeautyShape salon? 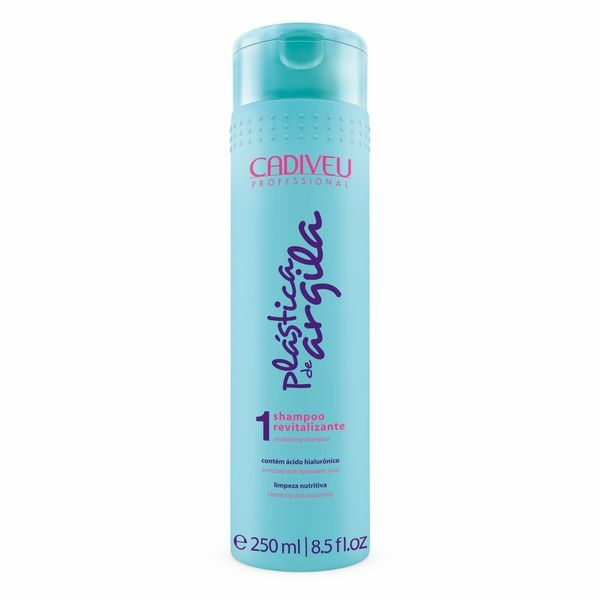 The treatment takes place in three steps through the Plastica de Argila range from the Cadive brand. First, the hair is washed with Revitalizing Shampoo and only slightly dried with a towel. 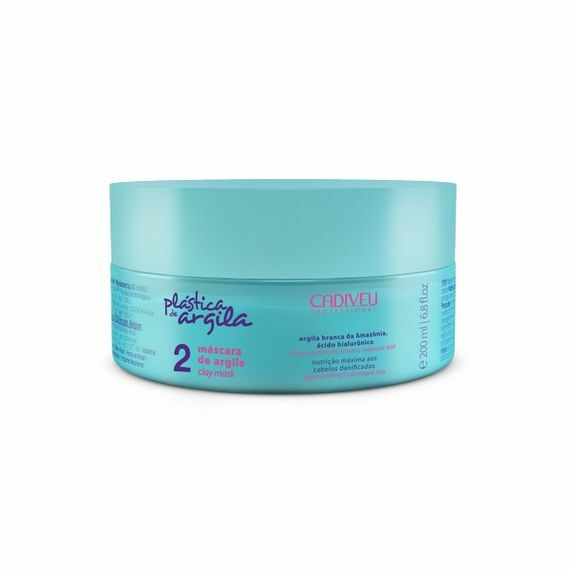 In the second step, the hair is divided into even sections and a special Amazon clay mask is applied to it and evenly massaged into the scalp and the length of the hair. In the third step, two-fold final care is applied. First, it is massaged into hair lengths and cleanses. In the second application, the ultimate care is exhaled into all hair to give the hair softness and shine. The hair can then blow out and it is possible to finish the final styling.